Courtesy of Berkshire Hathaway HomeServices Yost & Little Realty. Amazing Loft Downtown Kernersville @ The Factory! 2 Bedrooms 2 Baths + Office. High Custom Finishes Throughout. 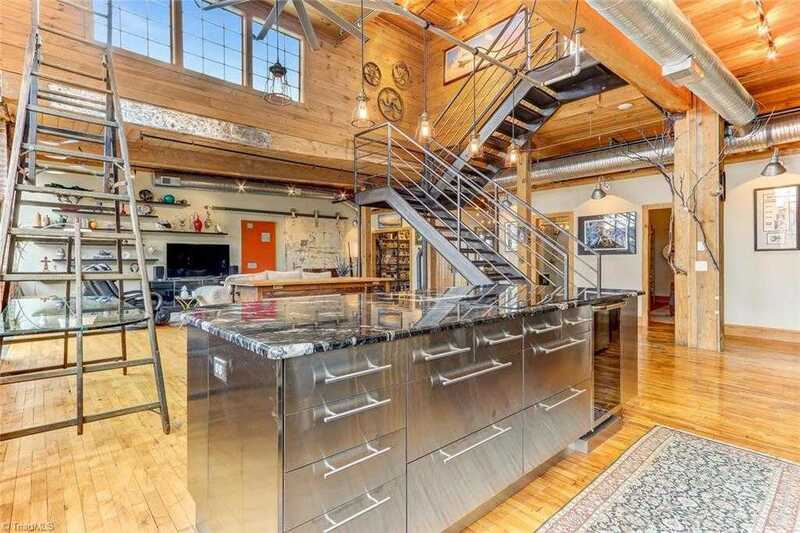 Open Living, High Ceilings, Exposed Ductwork & Beams, PRIVATE ROOFTOP DECK! Included Approximate 880 SF of Unfinished Mixed Use Space for Future Development of Office or Residential & Potential Income. Please, send me more information on this property: MLS# 916887 – $459,000 – 210 N Main Street, Kernersville, NC 27284. I would like to schedule a private showing for this property: MLS# 916887 – $459,000 – 210 N Main Street, Kernersville, NC 27284. © 2019 Help-U-Sell Greensboro. NC DRE # All Rights Reserved. Real Estate Website Design powered by Home Junction.